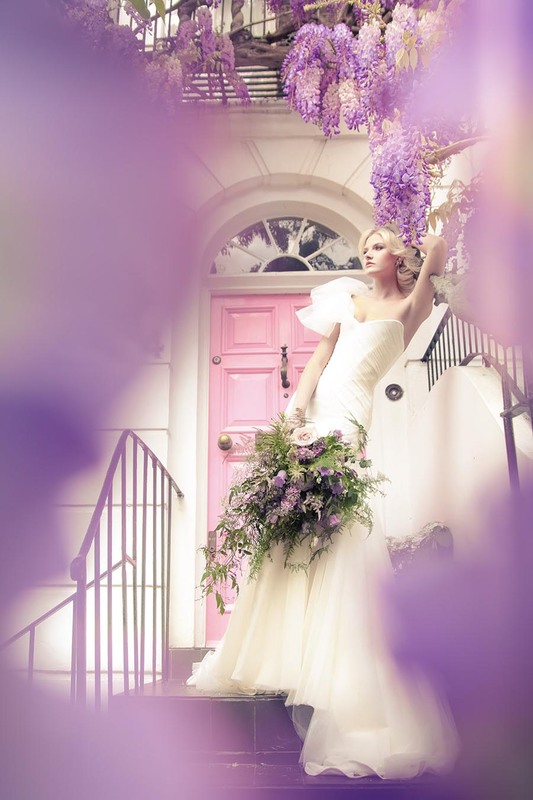 Couture bridalwear designer Chantal Mallett has been creating beautiful, show-stopping bridal gowns for over 20 years. Starting her company in her early 20’s, Chantal’s signature style, both then and now fuses period corsetry with modern design; creating fashion forward looks and future classics. 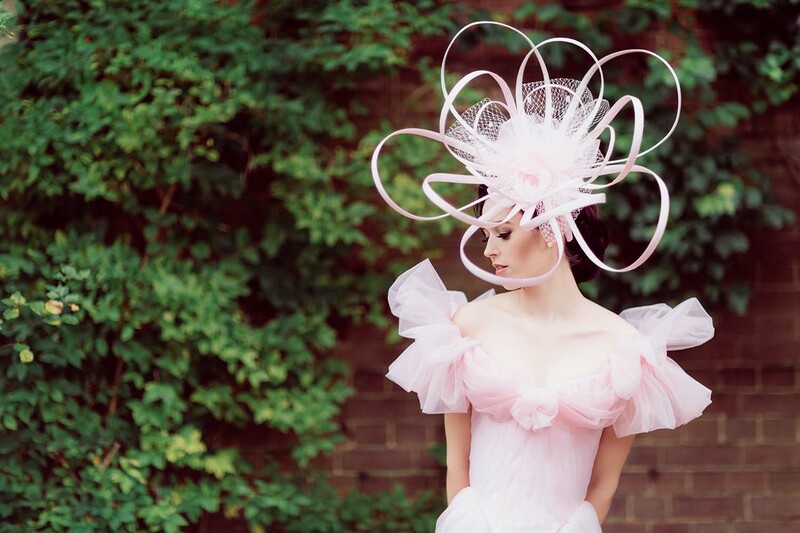 Championing real couture, Chantal works one to one with brides on their design & choice of colour, materials & finish to create their own, one of a kind creation. She is famous for her silhouettes & originality, couture workmanship and premium finish. Paris is the first design from the latest collection: Modern Deities. Created in tulle, the A-symmetric, sculpted corset features tulle draping and a single, detachable shoulder strap embellished with dramatic, oversized bows. The frothy waterfall, panelled tulle skirt has an unbelievable thirty two meters around the hem. 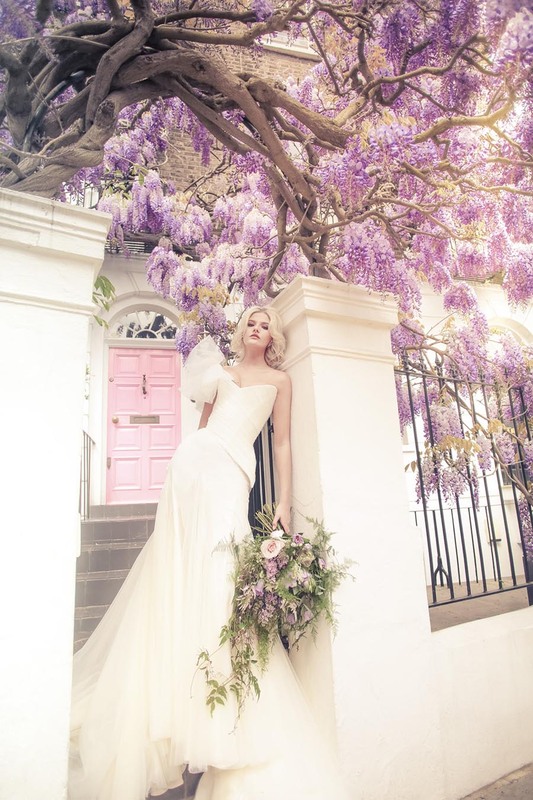 The shoot was at a private residence in Notting Hill that Chantal went hunting for when in London earlier this year; having seen the location on Instagram repeatedly last year being posted when the wisteria was in flower. Shooting with a wisteria background has been on Chantal’s wish list for some time but the season is so short that timing and weather make it tricky to become a reality. 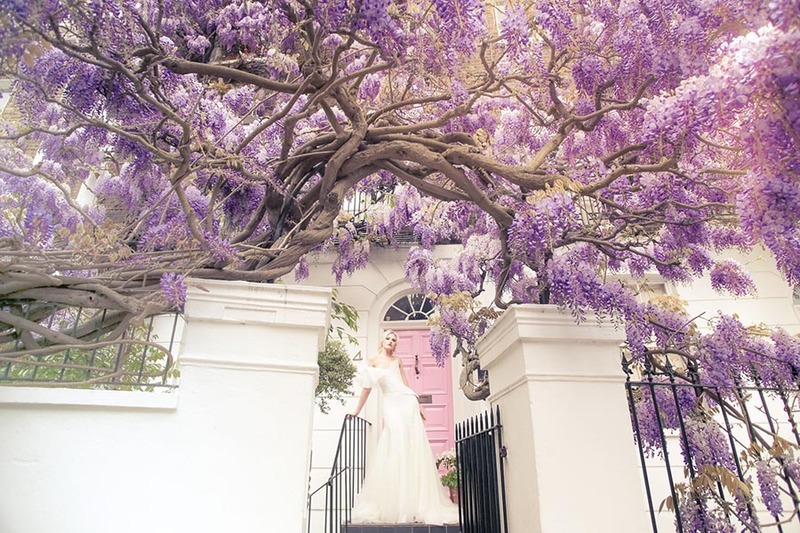 This Spring, with the perfect gown to shoot & having turned a corner in Notting Hill, to be met with a wall of heady perfume in the air, before the wisteria even came into view, Chantal fell instantly in love and knew this was the magical backdrop she wanted. 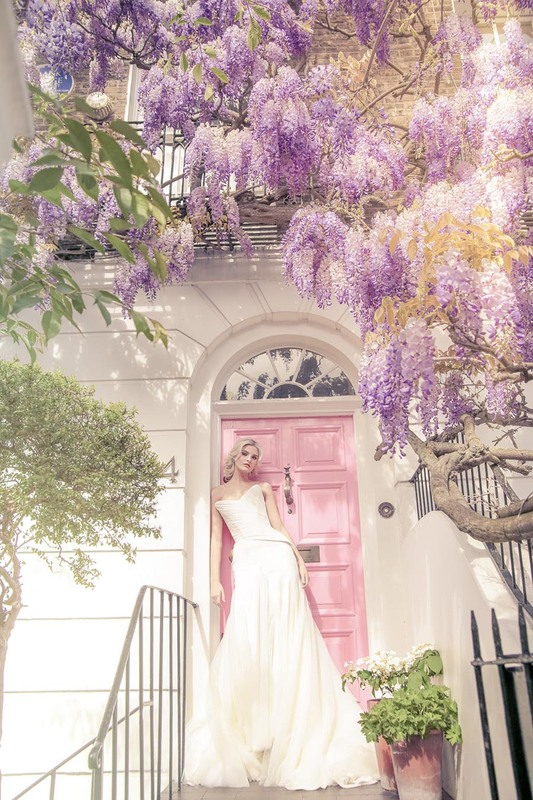 Enchanted by the white facade and famous pink front door enveloped in lilac, she was determined to make contact with the owners and should they be agreeable, shoot there this year, even if it did mean pulling a fabulous team together at short notice. Spending four blissful hours, on a warm spring day capturing the model Charlotte in the embrace of a majestic 140 year old wisteria that grows along the front and side fences and up the 3 story facade. It stands as testament to the breathtaking beauty of nature. The team were honoured to be the first team to shoot outside the lovely owners house. 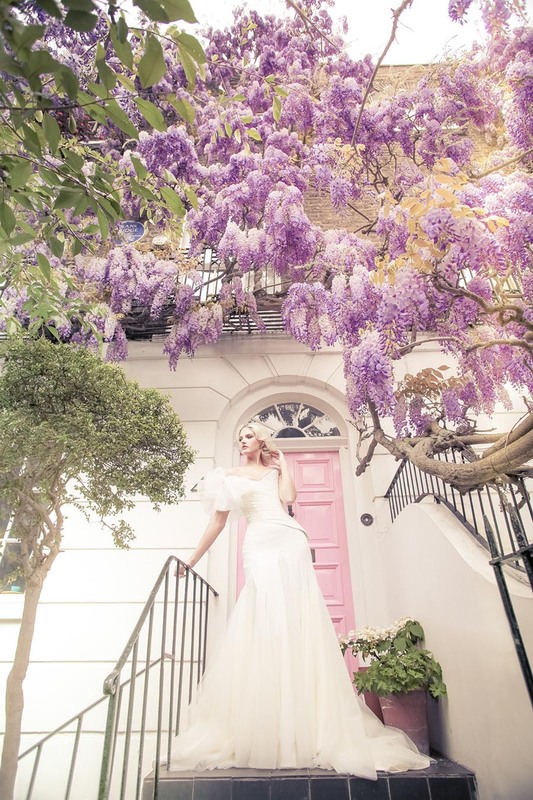 The concept behind the shoot was very much dictated by the woman who would choose this dress and a similar location for her wedding; a very elegant, sophisticated and laid back London bride. 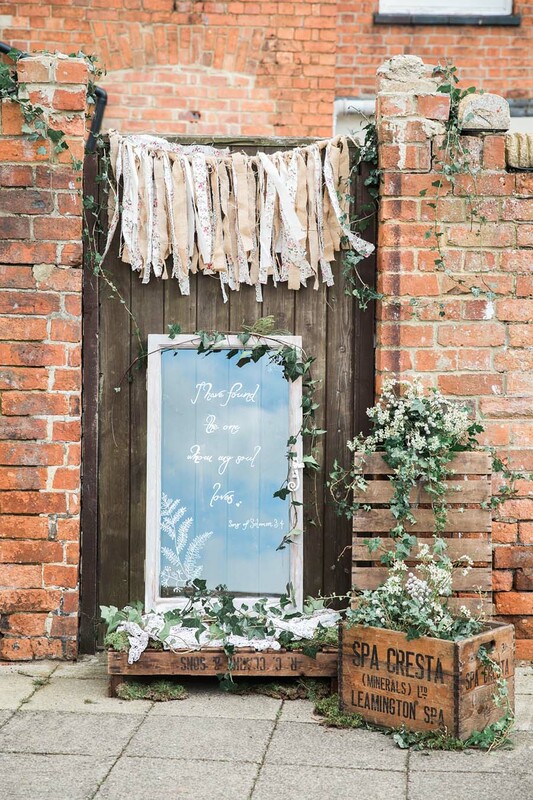 Hair & make up artist Patricia Soper went for a beautiful but not overdone look, jewellery was kept to a minimum with a pair of vintage Dior earrings and completing the look with a fabulous, loose bouquet created by florist Amie Bone. Talented fashion photographer Umbar Shakir brought an editorial vibe to the way the images were shot, capturing the effortless chic we were all after.